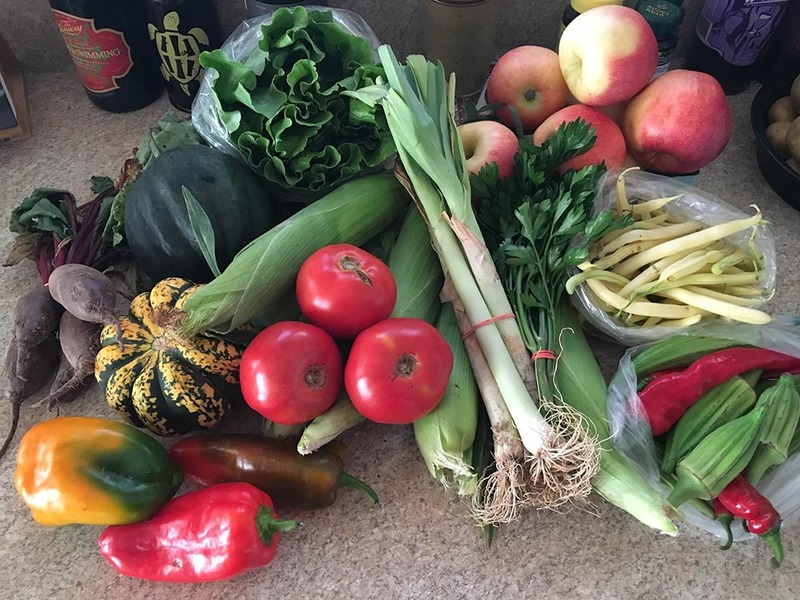 Farm Share CSA Veggie Box Sign ups OPEN NOW for 2019! All our CSA boxes are customized to your preferences and custom packed just for you. Use our sign up site HERE. You choose the vegetables that you want in your box each week. 7 – 9 types of vegetables and usually an herb. Organically grown, fresh picked, great flavor and long-lasting veggies. You choose the vegetables that you want in your box every other week. Choose Vegetable Share on Sign up and Select Frequency as Bi-weekly on the sign up page. I make this bread on Friday evenings with whole grain organic flour and my own wild yeast starter. 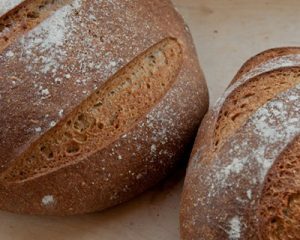 Longer rise times and sourdough methods make the nutrients in the wheat more available to our digestive system. The bread variety will change throughout the year. I make many variations of wheat breads, rye breads, pumpernickel, and more. These are mostly sandwich breads, the loaves are about 24oz, and are available fresh on Saturdays. The bread delivered on Wednesday will usually be frozen. You will receive one loaf each week or choose more than one in the quantity. We are happy to offer this quality cheese so you can enjoy it’s health benefits. 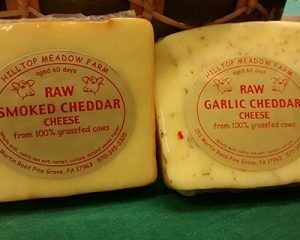 Most of the cheese comes from Hilltop Meadow Farm in Pine Grove, PA although we occasionally have raw cheese from other PA farms. These farms give their cows a grass diet and produce creamy, mild cheeses. Varieties include cheddar, sharp cheddar, havarti, smoked cheddar, colby, pepperjack, swiss, gouda, feta, garlic & herb and others. Each week you will receive one pound of raw milk cheese of the variety we select. You may choose more than one cheese share. 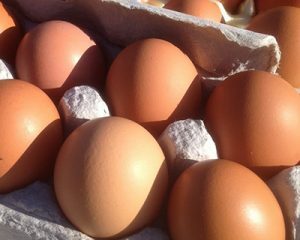 You will receive one dozen fresh certified organic eggs from Willow Haven’s local partner farms. These chickens only receive organic feed and their eggs are gathered and washed daily. You may order more than one share of eggs. This fruit share allows you to receive fresh, delicious fruit produced by several area farms. You will receive strawberries, cherries, raspberries, blueberries, black raspberries, peaches, apples, and pears. Most fruit will come from Scholl Orchards and Schmidt’s Berry Farm. These growers have served local customers for many years and pay close attention to quality. Occasionally I am able to purchase organically grown fruit but most of the fruit will be conventionally grown. Each fruit delivery will contain at least 2 ‘containers’ of fruit. 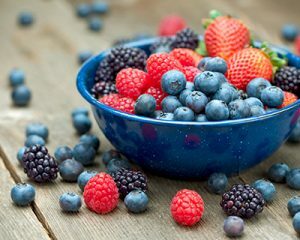 Smaller berries come in small containers and large fruit like apples or peaches comes in quarts. For example, 5 or 6 peaches fit into a quart. You may order extra Fruit Shares by selecting more than one in the quantity. One attractive feature of our CSA is delivery directly to your home. This is a good option for those who are very busy. This is a great pick up for busy weekenders, local locals, or those who want a nice mid-week drive in the country. We encourage this option because it offers the best experience and selection. Pick your preferences from the selection and enjoy the farm. St. Stephen’s church in Allentown hosts a Saturday Drop Off Site for our members who find that location most convenient. A great option for those at the eastern limits or outside of our delivery area. One attractive feature of our CSA is delivery directly to your home. This is a good option for those who are very busy or do not get out of their homes well. Delivery day is Wednesday usually between 2 pm – 4pm. Our delivery area is approximately 10 miles from the farm. WE ARE FLEXIBLE – please contact us if you have a question about delivery to your home. Delivery is available to an alternate location upon request. For example, you may live outside of the delivery area but can accept your box of vegetable at your workplace which is in the delivery area. Please include this delivery address when asked to verify your delivery location. To determine your distance from the farm, please use Google Maps. Many of our members come to the farm on Saturdays to pick up their vegetables. We encourage this option because it offers the best experience and selection. They enjoy picking out their favorite vegetables, seeing the farm, watching things grow, meeting other members, and talking to farm staff. You will come on Saturday during our On Farm Market where our vegetable selection is displayed. Pick your preferences from the selection, get extras, pick up your add on shares and enjoy the farm. Members who choose Wednesday Farm Pick Up get their box packed for them by our staff using your preferences on Harvie. This is a great pick up for busy weekenders, local locals, or those who want a nice mid-week drive in the country. If you have time, you can see the fields and visit the animals as well. St. Stephen’s church in Allentown hosts a Saturday Drop Off Site for our members. This is a great option for those at the church or in the surrounding neighborhoods. Because we drop off multiple boxes at one place, it the fee is less than home delivery. We offer flexible vacation scheduling. Our CSA shares are customizable, so you’ll be sure to get a variety of foods that you know you’ll use. Not sure how to use your shares? Looking for new recipes? As part of our CSA shares program, we’ll give you weekly recipes to get you started. We offer two different payment plans, in full or scheduled, so choose what works best for you. How much will I receive in a share? A share consists of 7-9 types of vegetables each week and usually an herb. We offer this size either weekly or every other week so you have more time to eat the great-tasting and long-lasting vegetables. For people that eat a lot of vegetables, the share will be enough for 2-3 people. For families that eat normal to small portions, it will be enough for 4-6 people. Keep in mind that eating habits vary a lot between people. If you regularly cook 3-4 meals/week, you should be able to enjoy all of the vegetables in your share. What is a biweekly share? You will receive a full box share of 7-9 items every other week, which equals 10 weeks of the season. In other words, you will have two weeks to use your CSA vegetables so use up the more perishable items like greens first and save those which keep longer for your second week. If you run out of veggies in between you can purchase extras when you customize your box or come to the farm on your off week to supplement your share. We will notify you which week your CSA will start. What vegetables will I receive each week? Early in the season, you will receive items that thrive in cool weather like peas, lettuce, lots of greens, broccoli, spinach, radishes, and cabbage. During the middle of the season, your share will have more items such as beans, tomatoes, peppers, zucchini, melons and more. Later in the season, you will find more cool season crops: kale, potatoes, lettuce, bok choi, turnips and squash. I also will be growing some herbs like basil, dill, chives, and cilantro. A more complete list can be found in the “What do you grow FAQ” below. May I choose the vegetables that I receive? YES! We have the ability to let you customize your vegetable share each week. Many people have at least one variety of vegetable that they do not like. We find that often a new recipe will change your opinion and we encourage you to be adventurous and try new things. That is one of the great benefits of joining a Farm Share CSA. BUT… we find that more people are happy with their Farm CSA shares if they get more of what they DO like and less of what they don’t. When you sign up and pay for your share you will have the opportunity to rate the vegetables we grow from 1 – 5. We will use this information to plan your Farm Share CSA for the week. Then you will get an email with the opportunity to change items in your box and purchase extras when they are available. That custom list will be used to pack your box. What if I still don't like something? We want you to be 100% satisfied. If any product in your box is not of perfect quality, you will have 24 hours to ask for a credit on that item for a future delivery. You will also have the chance to rate each box so we can get your feedback quickly and improve quality over time. Additionally, we encourage you to try a new vegetable several different ways before you decide you don’t like it. Use the recipes and tips that you will receive in your emails from us. How do I use the vegetables that I receive? We believe you will be most satisfied with your Willow Haven Farm CSA when you can confidently cook and enjoy everything in your box. If this is new to you, you will appreciate our new member education emails. Based on what is in your customized box each week, we will give you cooking education, storage instructions and whatever else you need to be successful with your box. 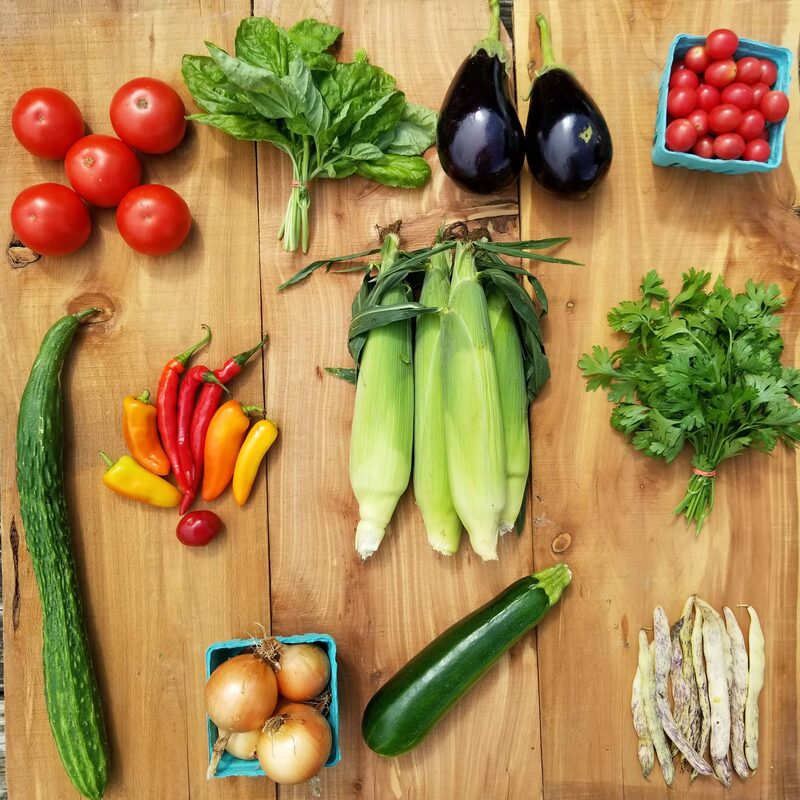 In addition, you can support the CSA movement by purchasing From Asparagus to Zucchini, a cookbook produced by the Madison Area Community Supported Agriculture Coalition. This is an excellent resource with many recipes and vegetable information. We know that people travel for vacations, work and many other reasons, or something might come up and you just can’t handle a box of veggies that week. The 10 week Bi-weekly Share is the most flexible. Using your account tools you will be able move your delivery/pick-up weeks to accommodate your schedule. We will train you on how to use this feature. Our weekly Share members can move one week to the end of the season and still get the full 20 weeks. Or you may choose to get two boxes on a particular week. Finally, if you are on the payment plan you may opt out of a box 3 times per calendar year and you will not be charged for that week’s box. The pre-paid portion of the box will be applied as a credit to your account to purchase extras through the end of the season. We will train you on how to use this feature in your account. Lastly, a Great Idea is to gift your box to a friend and have them pick it up. This will give your friend a risk free opportunity to try out our Farm Share CSA Box and decide to join for the next season. This season, we are using a new platform called “Harvie” to manage our relationship with you. Harvie is a farm business platform for farms to market, sell, and fulfill customized produce boxes to local customers with the goal of excellent member experience leading to long term member relationships and improved farm profitability. The goal of this platform is to better serve your needs as a customer, reduce food waste, increase member satisfaction, and help you cook what we deliver to you. It’s all about making your experience better because we want to keep you around for the long term! We will still deliver a weekly box of produce from our farm delivered directly to you, but with Harvie we will be able to give more of what you want and less of what you don’t. All the tools you need to customize your box, schedule vacations and order extras will be accessed through your Harvie Account. Sign up for our farm membership program as you normally do through the Harvie Sign Up link. We will provide this to you when we are ready to take memberships. Once you have chosen your size of box, picked a pickup location, and paid for your box we will present you with a list of all of the crops that we grow and ask for you to tell us which crops you want in your box and which crops you don’t (by rating each crop 1-5). These are your crop preferences and can edited at any time if your preferences change. Approximately 24-48 hours before each week’s delivery, we will provide an estimate to Harvie about what will be coming out of the field that week. Based on your crop preferences, Harvie will send you an email telling you what will be in your box. At this point, you can make adjustments to your box and purchase weekly add-ons, if you like. We will harvest for your produce box and Harvie will give us details on exactly what should go in your customized box. As the box is delivered to your pickup location, we will send you a text message notification letting you know that you box is ready for pick-up. If any product in your box is not of perfect quality, you will have 24 hours to ask for a credit on that item for a future delivery. You will also have the chance to rate each box so we can get your feedback quickly and improve quality over time. Is your farm part of the Community Supported Agriculture movement? Yes. Willow Haven Farm wants to be your supplier for fresh, local, organically grown vegetables. 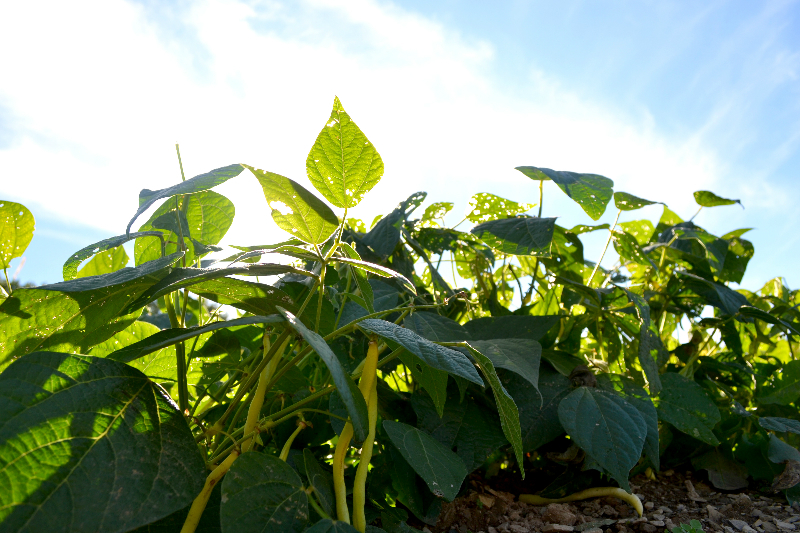 We want you to know where your food is grown and how it is produced. Visits are welcome throughout the year. We hope that you will consider the benefits of beginning a trusting relationship with Reuben and Tessa DeMaster at Willow Haven Farm. Our product is different from a supermarket because you are able to meet the farmer and enjoy the farm as well as the food. You can read more about Community Supported Agriculture here. Community Supported Agriculture (CSA) offers community members the opportunity to support local farmers by purchasing shares in the farming enterprise. This exchange enables consumers to know how and where their food is being produced and provides farmers capital necessary for production. CSA participants support local food production by sharing both the bounty and the risks inherent in farming. Can I Work for Food? Yes, we offer a work share program. Please contact us if you are interested in farmwork or delivering vegetables in exchange for a reduction in price. We offer a free vegetable share to our delivery people and to people who work on the farm. We are committed to providing nutritious food to anyone. What Kinds of Vegetables do You Have? The following list contains some of the vegetables that Willow Haven Farm plants and plans to distribute in our weekly deliveries. Other vegetables may be included that are not on this list. We cannot guarantee that you will receive everything listed because farming comes with a lot of risk. Our growing practices seek to minimize damage from insects, diseases, and weather, but some things are beyond our control. Can You Explain Your CSA Prices? 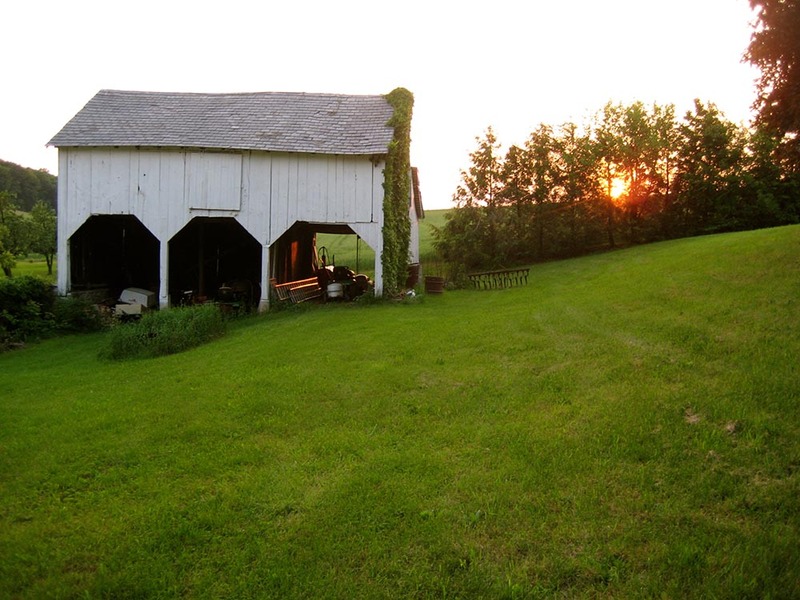 Willow Haven farm is a small, diversified farm and what we grow and sell supports our family. While organically grown vegetables are our primary income, the CSA is the backbone of our farm business and without it and our faithful members, we would never have been able to start farming. Reuben, the farmer, works to make Willow Haven Farm successful 12 months of the year and we are entering our 10th CSA season. Tessa, his wife, helps on the computer, in the market and many other details. The children work in the fields, in the market, pack csa boxes and love meeting our members and customers. Tessa’s parents live on the farm and help in giving advice, spinning wool and solving odd problems that pop up. We look forward every January to opening up our CSA Sign Up Website, greeting returning members, and meeting new ones. Our CSA is priced competitively with others in the area. We are not the cheapest, nor are we the most expensive. We hope you will find that we are unique in our offerings, including custom choice veggie box, home delivery and special add-on shares such as our organic, whole grain, sourdough bread and local cheese. You can read more about these options on the sign up page. 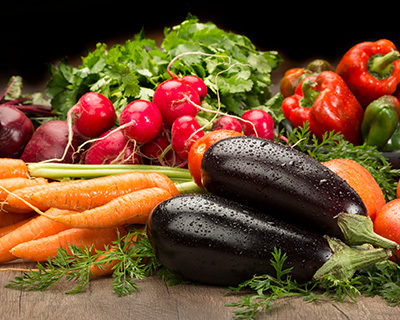 Our Vegetable shares range in price from $31 – $35 per week. Find our more about how to customize your CSA share each week by reading our FAQs. Many of our members come to the farm on Saturdays to pick up their vegetables. We encourage this option because it offers the best experience and selection. They enjoy picking out their favorite vegetables, seeing the farm, watching things grow, visiting the animals, meeting other members, and talking to farm staff. Saturday Farm Pick Up is substantially less than other options because you are saving us the labor of customizing your box for you. Some members choose to have their box of vegetables delivered to their home because of the busyness of life or difficulty leaving home. We are pleased to offer this option on Wednesday afternoons. Keystone Homebrew Store in Bethlehem hosts a Drop Off Site for our members who find that location most convenient. Because we drop off multiple boxes at one place, it is less than home delivery. Best of all, those who sign up and pay in full in the FIRST 30 DAYS that our sign ups are open will pay less, usually in January. Remember when you look at our prices, that the Shares we offer you are not comparable to most things you buy. We work in the dirt on our hands and knees for 8 months of the year to bring you truly fresh, organically and locally produced, vegetables. Of course you can buy certified, organic produce from California, China and Mexico and it might be less. But we are a farm in your area that you can visit, get to know, work with, talk to and support directly. We hope you feel good about that because we do. This is our first year purchasing your amazing organic crops and I just wanted to send you an update to let you know how very much my husband and I are enjoying the organic experience! When you belong to a CSA, the farmer picked it that day or the day before and then it comes directly to your home where you get to eat the freshest, most delicious food you have ever had in your life! It’s been great! Every night I can make something that looks like magazine food for your box and I just love starting with a few things with dirt on them and ending up with a great meal. Wow, I came home and unloaded my veggies and eggs. I am having fun planning my meals for the upcoming week. This is so satisfying. Thank you for the opportunity to feed my family so well! My nine year old daughter ate a peach this morning and said that she has never had a peach like that before. Thank you for farming locally and giving us the opportunity to taste fresh produce. We receive a delivery every 2 weeks and have not yet had anything go to waste. I can’t get over the fact that I am still using greens from 2 weeks ago and they have not even started to brown or wilt! It’s amazing! A few weeks ago, you sent out radishes…I have to say I have only ever eaten radishes raw on salad, and I don’t really like them. So, we decided to try something else. We sliced the radishes and added them to our potato packs on the grill and discovered that they may be one of the most delicious vegetables when grilled! Grilling the radishes brings out the sugars and they become very sweet and scrumptious. Our potato packs are a twist on an old boy scout recipe. The boy scouts would wrap sliced potatoes with butter and seasoning in foil and grill over a fire. My husband and I toss a variety of vegetables in olive oil and seasoning, wrap them in foil, add a pat of butter on top, and cook on the grill for about 20 minutes. Everyone loves them! We have become famous for our potato packs! We have grilled potatoes, mushrooms, onions, peppers, whole garlic cloves, radishes, carrots, celery, and much more. We also loved the snap peas from 2 weeks ago. I made a delicious chicken stir fry with them and added the bok choy as well as some other vegetables that I purchased from our local farmers’ market. I also only buy my meat and poultry from the farmers’ market so all of my ingredients are fresh and so tasty. The stir fry was really good, but I have to say that I enjoy the snap peas and the bok choy raw. We had salad every night with fresh snow peas until they were gone. I add the bok choy to my other mixed greens and I really, really like it in salad. This week I am going to try grilling the kohlrabi. I found this interesting article about kohlrabi that gave me the idea…http://www.melissas.com/Melissas-Magazine/2010/March/Produce-Corner/The-Lonely-Life-of-Kohlrabi.aspx. I will let you know how it turns out. Thanks for the wonderful organic experience and happy farming! This article is from a blog post by a CSA member. You can read the whole article here. Two years ago on a February night, my husband and I were searching Netflix for something to watch. We came across the movie, “Food, Inc,” which I figured was about healthy eating. Since I thought we ate pretty healthy as a family, I thought this documentary might give me a couple of extra tips I hadn’t thought of before. Boy, was I wrong! Instead, it totally changed the way I define healthy food and showed us where grocery store food REALLY comes from. I knew we needed to find a more local, organic source of food for our family. As soon as the documentary ended, we hopped on localharvest.org to search for a CSA in our area. We found Willow Haven Farm, only twenty minutes from our home, and bought a vegetable share. We could choose to have the share delivered to our door or to go to the farm and pick it up. We decided to pick it up so our children could actually see where their food came from. In June our CSA season began and we drove to the farm to pick up our first box of vegetables. The farmland was gorgeous and Reuben, the farmer, was so friendly and kind. He paused in his plowing and planting to show us his new beehive and some of the fields where the food had grown and gave us our box of vegetables. I couldn’t wait to go home and see what was inside! When we got home, everything in the box was green including kale, bags of lettuce and field greens, (darker in color and fresher than I’d ever seen before), and also what I thought was an usual kind of celery. Turns out it was rhubarb! Good thing Reuben emails us each week telling us what vegetables were in the box! Preparing the vegetables received was a big adventure! I could not have known how to prepare many of the things without my favorite cookbook, Simply in Season, by Mary Beth Lind. This cookbook is divided into four sections, one for each season and the recipes for each season contain only produce that is ripe during that season, allowing me to use all the produce I am given. The recipes are also simple to follow and don’t call for a can or box of any prepackaged ingredients. Everything is from scratch, yet not complicated. In addition to the vegetables, Willow Haven offers farm days where all the CSA members gather to visit the farm and visit with each other and share a potluck meal. There are also opportunities to come to the farm for classes in bread making, yogurt making, or beer making. Or you could volunteer your time on the farm to help with planting, harvesting, or other jobs on the farm. We are now about to enter our family’s third year with Willow Haven. We love being so connected with where our food came from. In the grocery store, you have no idea where or how something was grown or who grew it. Chances are it was not grown nearby, but traveled thousands of miles over many days to get to the store. And it was probably picked way before it was ripe so it could make the long journey, which greatly lessens the nutritional value of the produce. But when you belong to a CSA, the farmer picked it that day or the day before and then it comes directly to your home where you get to eat the freshest, most delicious food you have ever had in your life! Do yourself a favor and try a CSA in your area this year! I know many people only let you know when they are not happy, so I thought I would let you know that I am very happy. I just joined this year, Week A, and I want you to know that I think the vegtables have been great! That one cabbage went into about 8 different dishes including a veg and chicken curry and Indonesian acar and something I call French Slaw, and the cukes this week are going fast. The basil last week made a great pesto with feta and capers. I even like the bug holes! And I really liked the mixed greens and kale. I am a greens fanatic. The carrots are very good too. And I love to cook with out going to the store. Just use what I have. Every night I can make something that looks like magazine food for your box and I just love starting with a few things with dirt on them and ending up with a great meal. Also, I have a huge red eared slider turtle here, so even the veg scraps get eaten at my house!! And what the turtle doesnt eat, I compost and use for my potted patio tomatoes. Wow, I came home and unloaded my veggies and eggs. I am planning my meals for the upcoming week. Beets for lunch today, Stir fry tonight, soup and salad tomorrow night, roasted winter veggies on Tuesday and salad and veggies on. Thursday is Thanksgiving and I have the sweet potatoes and coleslaw to take for my family’s thanksgiving meal so I will use the sweet potatoes, parsnips. And carrots to add to the coleslaw. This is so satisfying. Thank you for the opportunity to feed my family so well. My nine year old daughter ate a peach this morning and said that she has never had a peach like that before. I made a comment to my husband about the flavor of the fruit and vegetables and the memories that I had from childhood. It is a sin that we have become so numbed to the grocery store old flavorless produce that is available. Thank you for farming locally and giving us the opportunity to taste fresh produce. Willow Haven Farm’s CSA offers a customized weekly box of fresh vegetables produced on the farm. Most of the vegetables will be picked within 48 hours of delivery. Your box will contain a variety of seasonal crops which you can customize each week. Unlike grocery stores that purchase shipments of food from thousands of miles away, you will receive locally grown vegetables grown in season. This means that not all vegetables will be available every month of the year. Additional products can be added to the vegetable share. Add-on shares include eggs, bread, fruit, and cheese. We raise chickens on the farm and bake the bread. The fruit and cheese are purchased from trusted sources. The fruit is our only product that is not produced with organic methods. You will choose to receive your shares every week or every other week. Send us an email, give us a call, or fill out our form, and we will reply as soon as we are able.